e solution is also for Windows 7 and 8.1. 1.) ... Customize the Windows Sleep settings! 2.) ... Temporally enable the Windows 10 sleep settings! 1.) Customize the Windows Sleep settings! Please use open the Control Panel click or tap Power Options and click on text "Change Plan settings"
The Run-Dialog command is: control.exe /name Microsoft.PowerOptions for direct access or Desktop shortcut! (Image-1) Change Windows 10 Sleep Settings! 2.) Temporally enable the Windows 10 sleep settings! This problem can be solved with the freeware Don't Sleep, without disable or change the energy saving features. If you don't have the freeware Don't Sleep, please download it: ... download DontSleep. 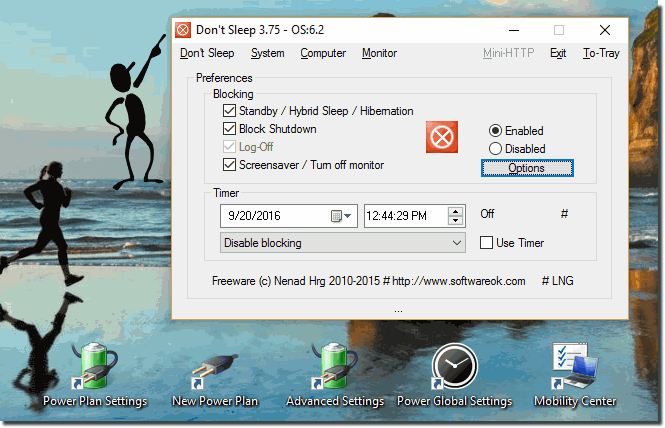 (Image-2) Temporally disable sleep mode in Windows 10! ► Show hidden files and folders in Windows 10, how to? ► Can I rename the This-PC in My-Computer on Windows 10? ► Enable Remote Desktop on Windows-10 Home, how to? Windows-10 - FAQ-204: Change Windows 10 Sleep Settings, how to? 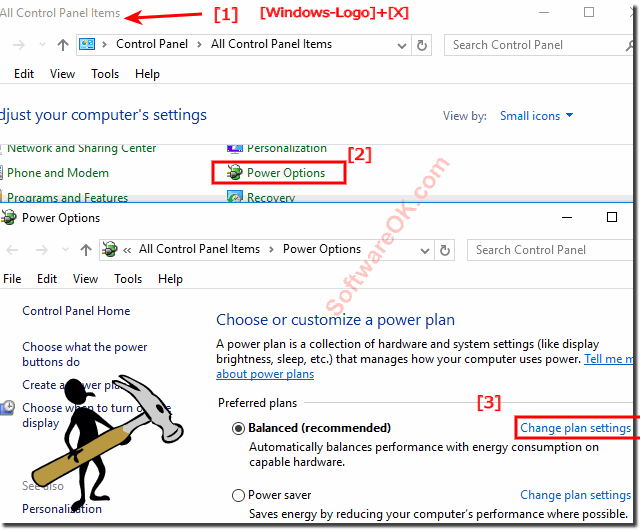 How can i make changes for the Power Plan, easily and for Windows 8.1 and Windows 10 users to make the changes in Setting!